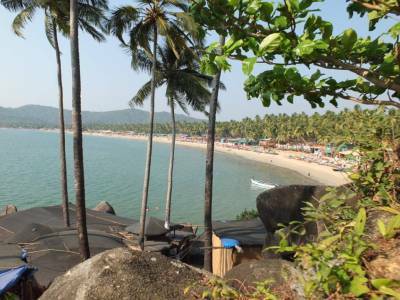 One of the most stunningly beautiful beaches in the party-land of India, Goa; Palolem beach is a natural bay having lofty highlands on its sides. 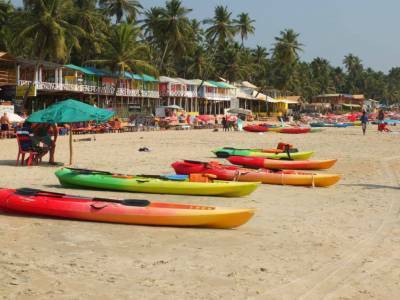 Not as peaceful as the Agonda beach of Goa by any means or stretch of imagination, Palolem beach is a more of a busy beach with travellers visiting there almost throughout the year and thereby quite understandably the place being saturated by over-priced sellers. Nevertheless, it is a marvellous place for adventure seekers besides of course nature lovers. Unlike the Agoda beach, swimming is absolutely safe here as the currents are not fast. Palolem beach is crescent shaped. The Canacona Island, also referred to as the Monkey Island as a large flock of monkeys are found residing there; is a famous tourist attraction nearby the Palolem beach, a walking distance to the north of Palolem beach. Another popular tourist spot is the Cotigao Wildlife Sanctuary which is also at a very short distance from the Palolem beach. And if for some reason you have got bored lying in the beach and having nothing much to do, you can certainly try your hands on some adrenaline pumping adventurous activities such as trekking, canyoning and the likes. For experiencing an epitome of relaxation, you may also indulge yourself in ayurvedic message at an affordable pricing. The sunset is immensely popular in the Palolem beach and just looks scintillating which is not one to be missed by any tourist visiting there. 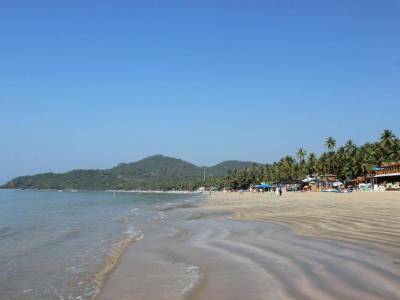 Palolem can be reached with ease from Goa airport directly via a hired cab or rent car. It is only a distance of about 67 km. Madgaon is the nearest railway station to Palolem about a distance of 43 km. The predominant activities involved in the beach are swimming, dolphin watching, paragliding, bating, etc. 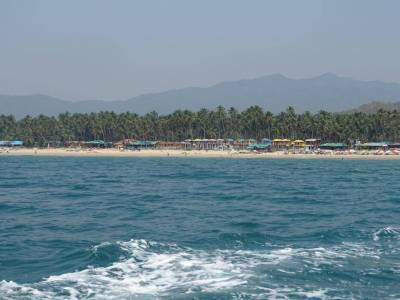 If you make a trip to Goa, make sure you definitely spend a good time at the Palolem beach. 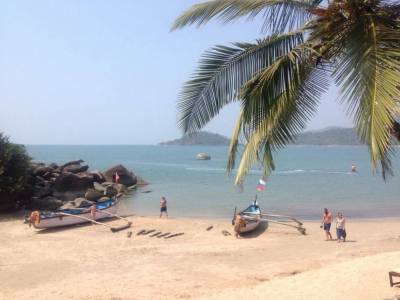 Get quick answers from travelers who visit to Palolem Beach.